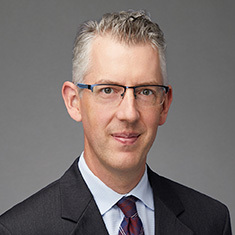 As a partner in the firm's Trusts and Estates practice, Adam Damerow concentrates his practice on domestic and international estate planning and administration for high-net-worth individuals, including families, owners of closely held businesses, family offices, executives, and other professionals. He also devotes a significant part of his practice to advising US residents with assets abroad and non-residents with interests in the United States regarding multijurisdictional planning and tax issues. Adam's experience ranges from the preparation of estate planning documents, including wills, revocable and irrevocable trusts and powers of attorney to work on designing and implementing wealth preservation and transfer strategies using generation-skipping transfer tax-exempt (dynasty) trusts, sales to grantor trusts, Grantor Retained Annuity Trusts (GRATs) and formation and funding of family LLCs and partnerships, including family offices. Adam regularly counsels corporate and individual fiduciaries in contested and non-contested estate and trust administration matters. He also represents nonprofit entities, including private foundations, public charities and trustees of charitable trusts, on compliance, administration and related issues at state and federal levels. Adam has experience preparing business documents for family-owned businesses, including business formation, governing instruments, and buy-sell agreements. His experience also includes representing clients in tax controversy matters involving estate and gift tax audits with the Internal Revenue Service. Adam was managing editor of the Loyola University Chicago International Law Review. Representation of family members in contested, billion-dollar estate trust administration matters related to valuation, distribution and audits with the Internal Revenue Service. Advice to an ultra-high-net-worth individual on the purchase and sale of $35 million of assets from a generation-skipping transfer tax-exempt trust created in the 1940s to a newly formed intentionally defective family dynasty trust created to efficiently transfer wealth to be held in perpetuity for the benefit of the client’s descendants. Representation of corporate fiduciaries in court in contested trust matters. Representation of fiduciaries in the preparation of a non-judicial settlement and virtual representation agreement to settle issues arising in trust administration with beneficiaries. Creation of a series of grantor-retained annuity trusts for clients with (i) concentrated positions in publicly traded companies or (ii) privately held companies to transfer wealth to younger generations with minimal transfer tax cost. Formation of tax-exempt charities for professional athletes and provision of ongoing advice on programming, fundraising and administration. Provision of advice to nonresident, noncitizen families on the tax-efficient transfer and holding of wealth outside the United States into the United States for the benefit of US persons.